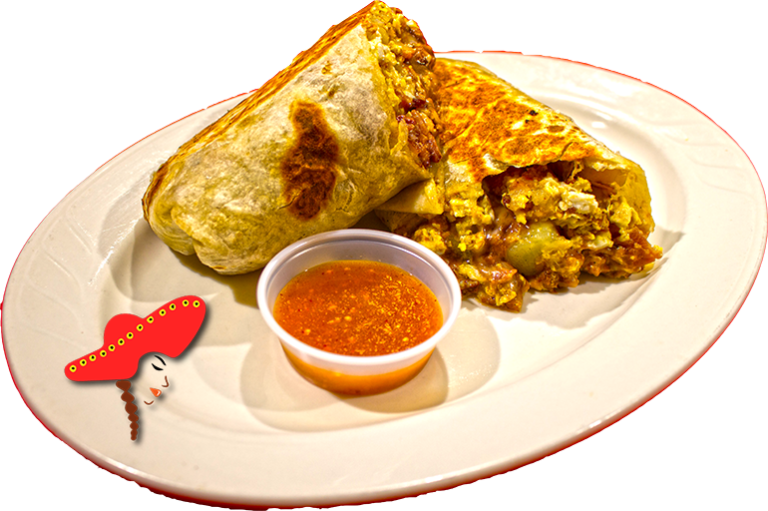 Downtown Sacramento, Linda's Mexican food breakfast menu line up serves Breakfast Burritos. Offering you a range to fit your budget and taste preference. 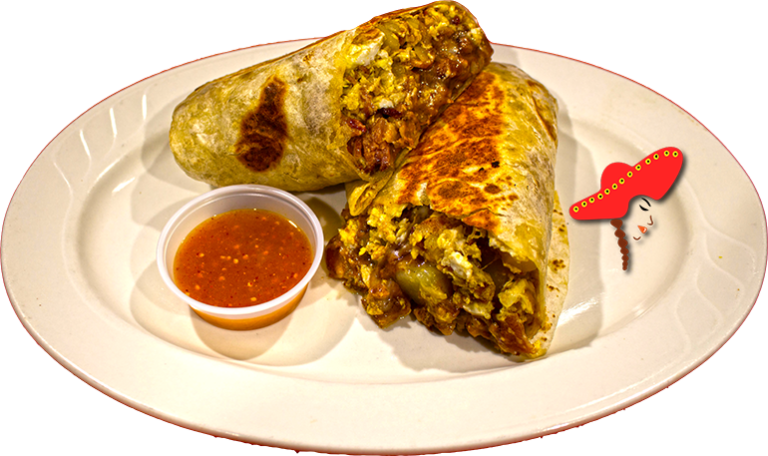 Linda's Mexican food prepares their breakfast burritos with your choice of meat; refried, or whole beans; caramelized potatoes; scrambled eggs; mozzarella cheese; and wrapped in a 8-inch flour tortilla. Tried the breakfast burrito - bacon, ham, potatoes. It was amazing!!!!!! The potatoes were perfectly cooked. There was a lot of ham - cubed. Bacon wasn't crispy but still really good. Everything was perfectly cooked, which made the burrito amazing. It came with this orange spicy salsa. I love spicy food so it made the burrito that much better. I definitely recommend the breakfast burritos. Great flavor and not too spicy. We got a chorizo breakfast burrito - messy, but that's to be expected with chorizo. Still great flavored Mexican food, and I love the beans in the burrito. Seriously, so simple but so delicious breakfast burrito! It kept all the goodness in without the tortilla falling apart.